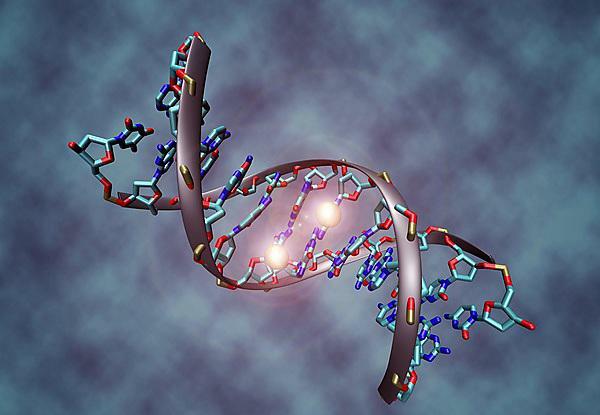 Current research into the potential of environmental agents to cause damage and mutations to the DNA of humans and wild species will be discussed during a global conference at Plymouth University. The 38th Annual Conference of UKEMS (the UK branch of the European Environmental Mutagen Society) is being staged from July 12-15. It will focus on recent developments in fields such as genome stability, nanotoxicology, molecular epidemiology, industrial genotoxicity, cancer prevention and applications of recently developed 'omics' technologies to understand how the DNA works and plays a role in development, diagnosis, prognosis and treatment of various human diseases. There will also be forums addressing alternative approaches to animal testing, and showcases of the work being conducted by young researchers at Plymouth University and elsewhere in the UK. The UKEMS encompasses academic research into the mechanisms and consequences of mutagenesis, and applications of this knowledge to the testing of novel pharmaceutical, industrial and agricultural chemicals for genotoxic effects. As well as world-leading academics at universities in the UK, there will be keynote addresses and discussion forums by leading scientists from the USA, Norway, Austria, Belgium, Poland, Switzerland and the Netherlands. There will also be representatives from some of the world’s major drugs and personal care product research companies – including AstraZeneca, GSK, Pfizer, Procter and Gamble, and Unilever – and government agencies such as the Department for Environment, Food and Rural Affairs (DEFRA) and National Centre for the Replacement, Refinement and Reduction of Animals in Research (NC3Rs). Plymouth University is pioneering research into the impact of manufactured and engineered particles on human and environmental health, having received high profile several grants – £750,000 from the Natural Environmental Research Council (NERC) – to further its work in recent years. Researchers also received over £600,000 from the Biotechnology and Biological Sciences Research Council (BBSRC) and multinational pharmaceutical company AsztraZeneca to develop new models and techniques which aim to reduce the number of fish used to test chemical safety.